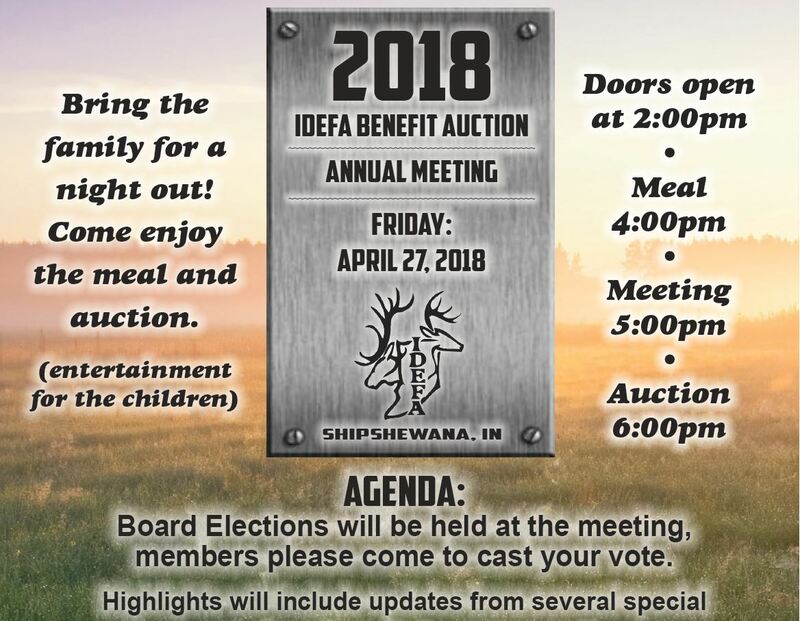 Our IDEFA Annual Meeting and Benefit Auction will be Friday April 27th, 2018 at the Shipshewana Antique Barn in Shipshewana, IN. Click image below for more info. Click on image to see more information. Join the IDEFA family today and help us preserve hunting traditions for future generations!